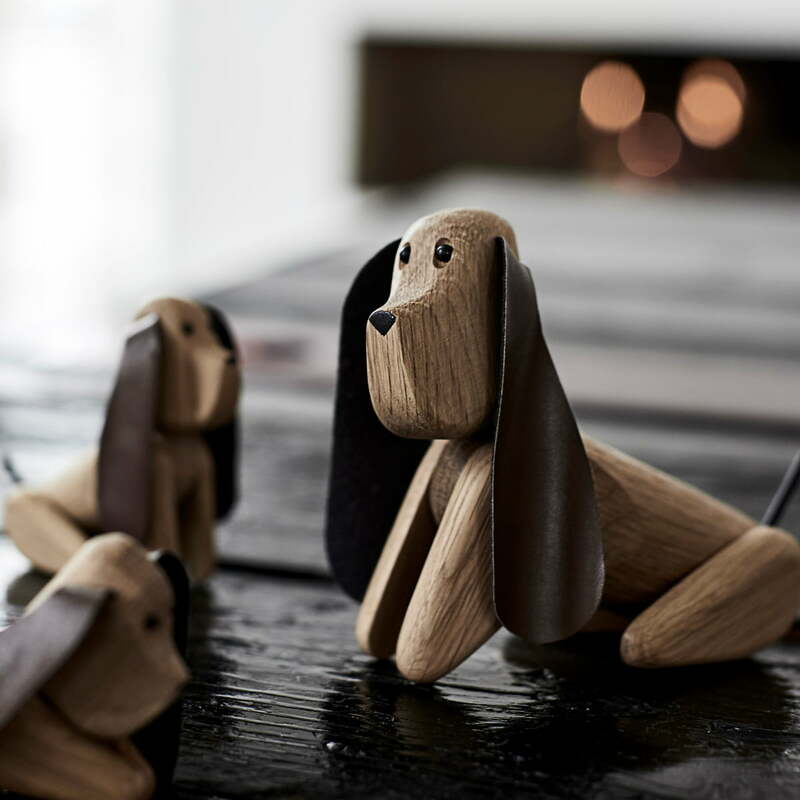 My Dog is a decorative and playful wooden figure by Andersen Furniture made of solid oak wood, available in two sizes, 7.5 cm and 9 cm high. The charming dog has long floppy ears made of leather and both the head and the legs can be moved. The wooden figure can be decorated standing, lying or sitting. 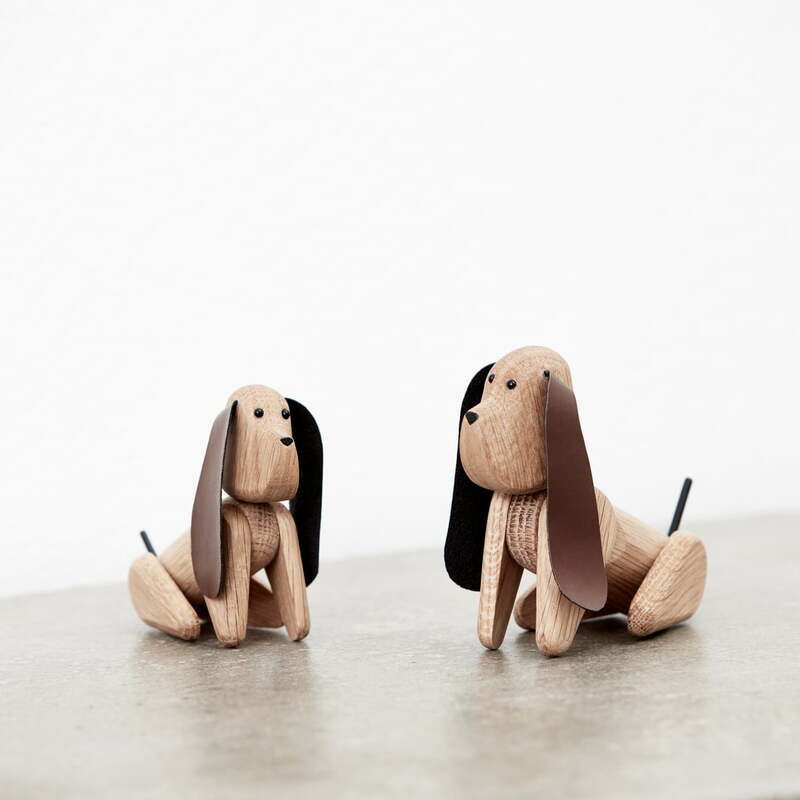 Several My Dog wooden figures together provide a sweet eye-catcher in every living area. The cute dog makes himself great on the wall shelf, the side table or the sideboard both alone and with several in the pack. The My Dog is also suitable as a gift for various occasions. 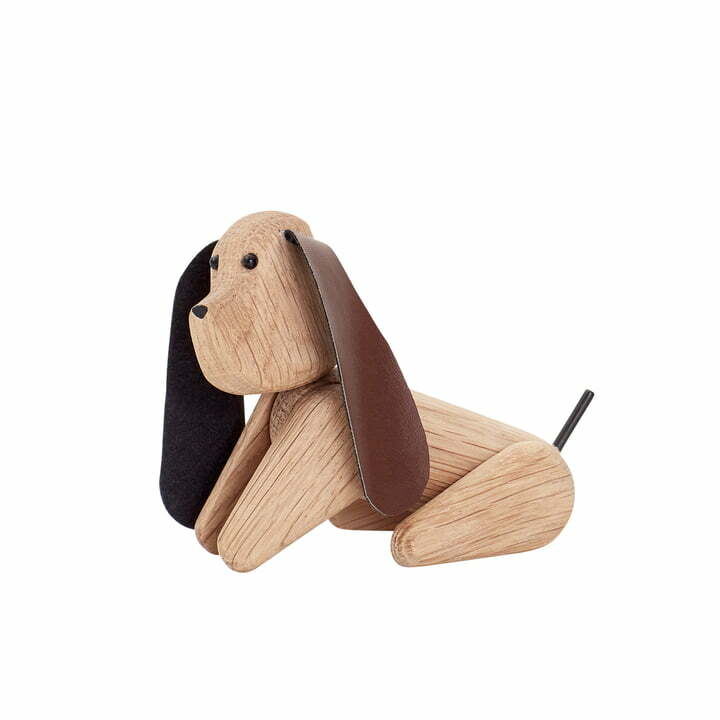 The My Dog in small by Andersen Furniture made of oak wood with leather in single product view. The small version of the wooden figure has a height of 7.5 cm. The charming dog has long floppy ears made of leather and both the head and the legs can be moved. The wooden figure can be decorated standing, lying or sitting. 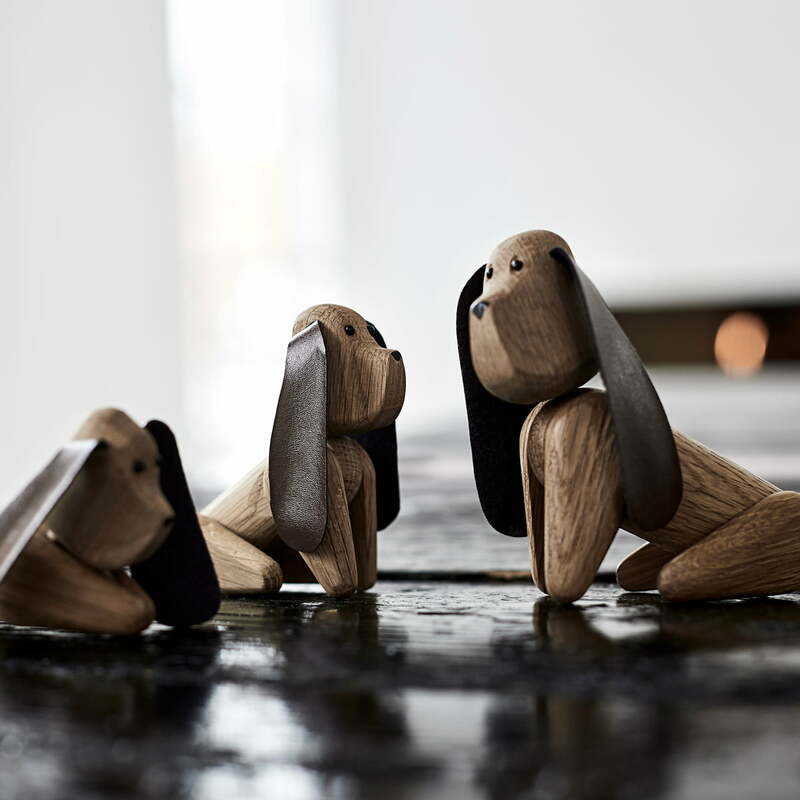 Several My Dog wooden figures together provide a sweet eye-catcher in every living area. The cute dog makes himself great on the wall shelf, the side table or the sideboard both alone and with several in the pack.